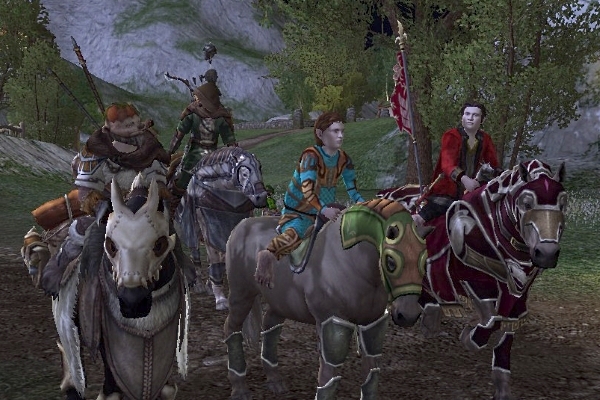 Equestrian and roleplay events on Landroval in Lord of the Rings Online. In case you missed the riding team perform at the 2015 Spring Racing Carnival, here is a video of their routine, complete with Lilikate’s music. 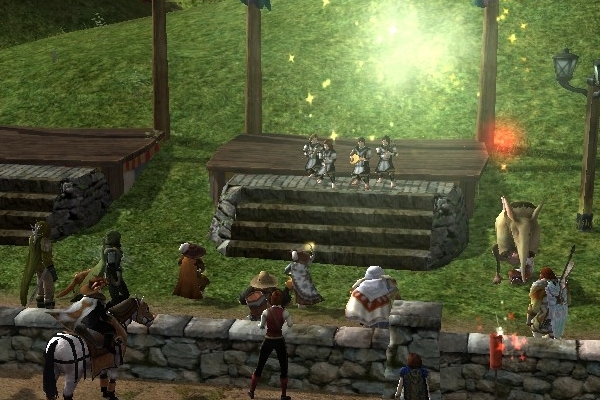 Thanks to Zedrockk, you can watch the Weatherstock Concert Series via streaming. The 2015 Spring Racing carnival ended with an equestrian extravaganza on April 25. 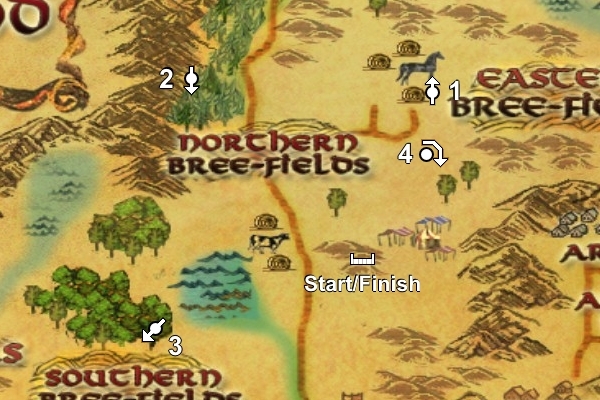 The day started with the Bree-land Cup, a final war steed qualifier race. P.I.E. entertained the crowd while six riders registered for the race. If you missed any of the equestrian extravaganza, here are links to videos of several events. 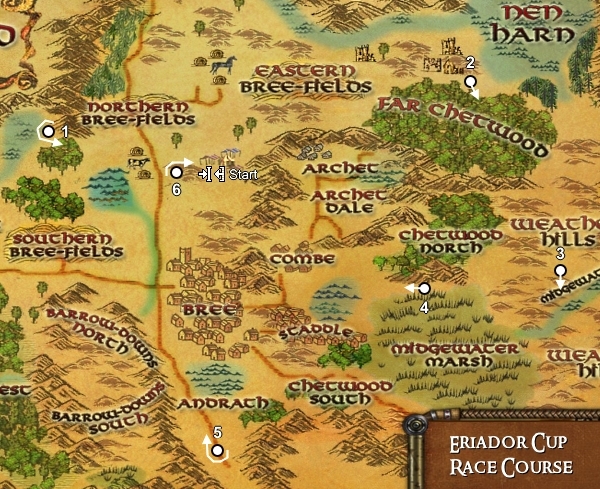 Here it is… the Eriador Championship Cup race course! This is our longest and most challenging course to date. It will test your endurance, your concentration, your knowledge of secret paths… Most of all, it will test your perseverance. Only those of steadfast hearts can succeed. 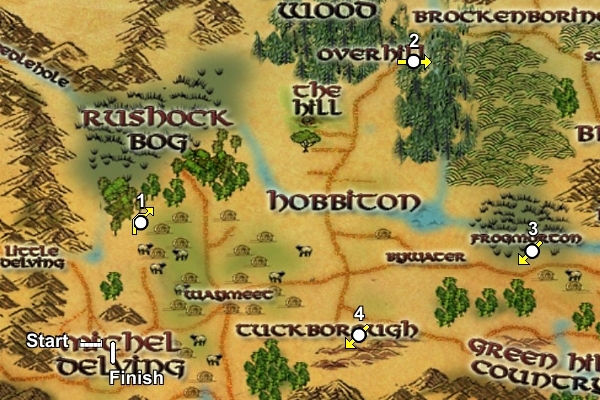 The course will take you through many hidden and forgotten places in Bree-land. 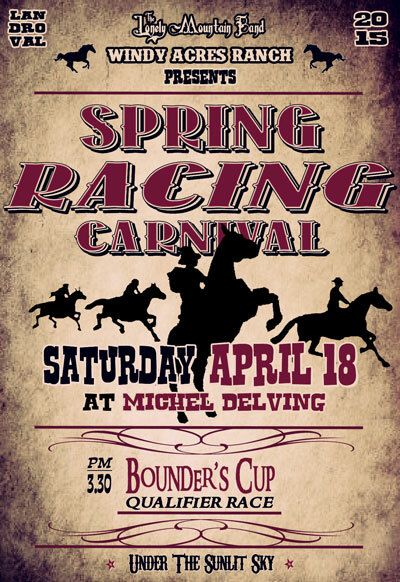 The Spring Racing Carnival is this Saturday! Join us for events beginning at 11:00am EDT/UCT-4 and ending at 8:00pm EDT/servertime on Landroval. Enjoy horse racing, rodeo, dressage, concerts, fireworks, and much more. Wager on the winning riders and win prizes. Continue reading for the full event schedule. We have tested your endurance, your concentration, even your ability to deliver pies. 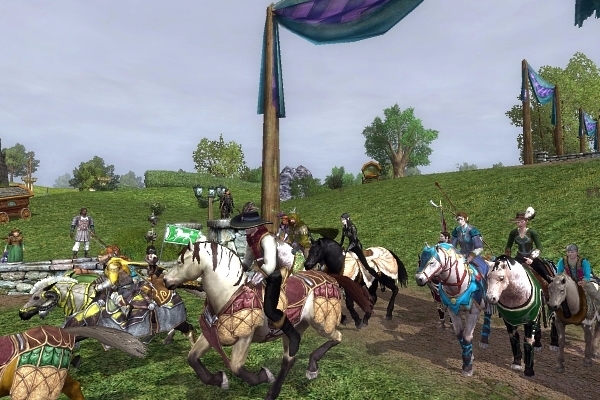 Three riders have been added to the Eriador Championship Cup roster. Congratulations to our winners — Nettlebow, Skoch, and Vethlo! Amenhir earned an alternate spot. The Bounder’s Cup will test… your ability to deliver pie from a secret stash?! The race begins in Michel Delving. This course is all about speed.